Stop living with pain. Start living, today. If you are reading this, I am truly honored you have decided to join my Chiropractic Family. By being here you have taken the first step towards a healthier you and that is half the battle! At Bridgewater Chiropractic we believe that the combination of mixed chiropractic care, vibration massage therapy, vitamin supplementation and our purification/detox program can "supercharge" your health, mind, body and soul, regardless of ailment, age or condition. If you are new to chiropractic care, again we hope to live up to your expectations as your family's chiropractor. 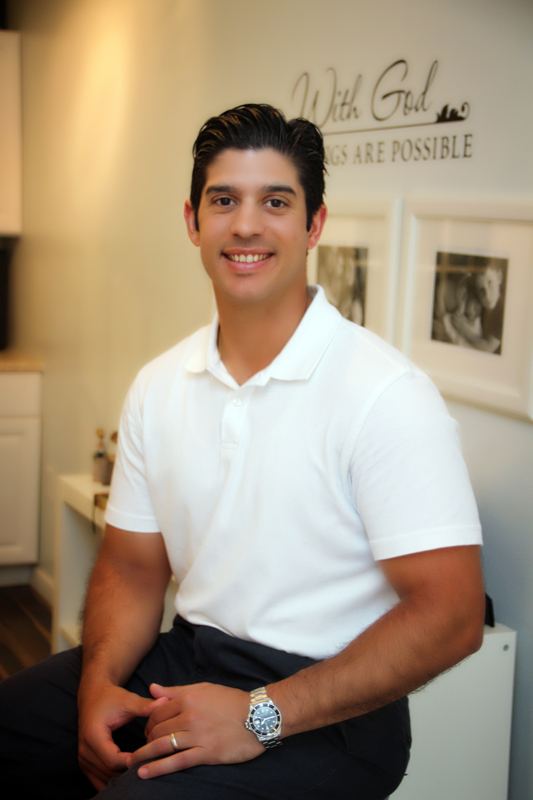 Although I am a solo doctor, I am fortunate to be affiliated with other medical doctors, physical therapists, acupuncturists and massage therapists in the local area. My areas of expertise are wide in range, but please know that you and your needs are unique; not only to you, but to me as well. Even if you have a healthcare question you do not think relates to Chiropractic care, please don’t hesitate to ask. "I was in a motor vehicle collision last year which really scared me. After 40 stitches in the head, a hospital stay, some drugs and continuous neck pain, I finally decided to see a Chiropractor. I have NEVER looked back. Not only did Dr. Bello work with my lawyer to submit documentation of my injuries for compensation, I have never received the type of one-on-one care I have from another healthcare professional. I now continue to see Dr. Bello twice a month for maintenance and slowly but surely I am getting back on my feet."